Meet Salma Marwat Khan - Pakistan's Fastest Emerging Female Rally Driver Who's Touching The Skies! It is good to see that Pakistanis are blessed with great women role models for which they have worked day and night. From breaking stereotypes to setting new trends, the outstanding Pakistani women have taught us how to face difficulties in life. The impressive work of Pakistani women got global recognition and they are not in a mood to sit back! Salma Marwat Khan is the recent addition in a lot of talented Pakistani women! 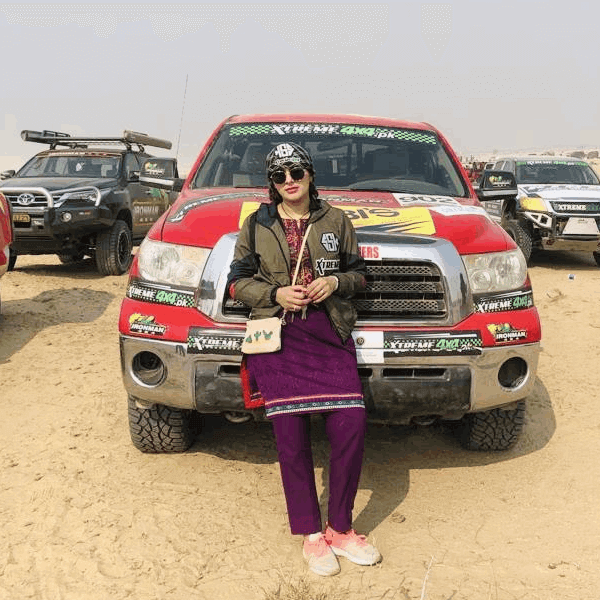 Salma Marwat Khan is Pakistan’s fastest emerging female rally driver who won the inaugural Chakwal 4×4 challenge off-road rally. In the women’s category, Salma Marwat Khan won the first position while Asma Raza Siddiqi and Anila Khan got the second and third position respectively. This is the fourth off-road title for Salma Marwat. She has participated in eight different races and now she is becoming visible on Pakistan’s motorsports scene! Salma Marwat Khan raced her vehicle through the difficult terrain to complete the track in 22:09:40 seconds. While talking to media, Salma Khan told that she is excited to win one more title. “It’s a great feeling to win titles, I love motorsports and I aim to be the best in this sport,” Salma Khan aimed. Salma said that motorsports have always been her passion and she wanted to turn it into a profession. 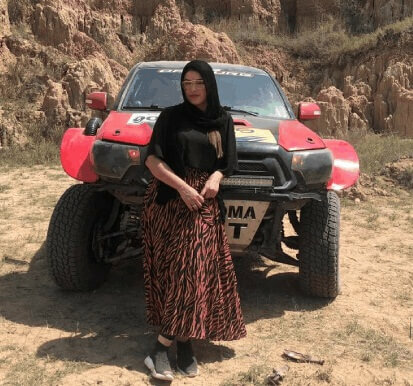 The winner of Chakwal 4×4 challenge off-road rally also said that she wanted to inspire other women to pursue the sport too. Salma Marwat’s competitors, Asma Raza was just 1:32 minutes behind Salma while Anila Khan who has previously won the titles of Hub Rally, Sawat Rally, and Safranga Rally finished the track after Asma Raza Siddiqi. Do you know what? Salma Marwat Khan isn’t the only woman who made the news! 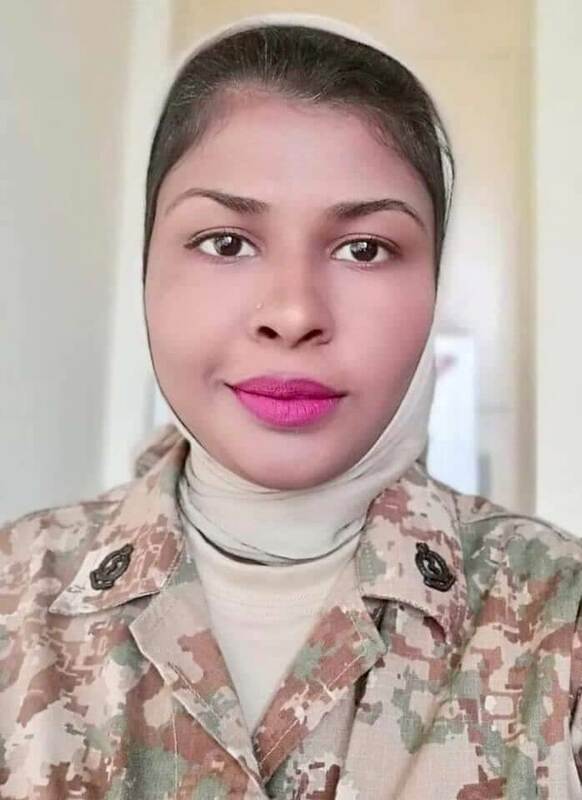 There is another woman whom not only Pakistanis, but international media is also talking about and she is none other than Pakistan Army’s Major! Pakistan Army’s Major Saiqa Gulzar Bags Gold Medal In USA! She belongs to Vehari – a 100 kilometers from Multan, Major Saiqa Gulza is the daughter of a local school teacher Gulzar Masih Sidhu. Saiqa belongs to the Christian community of Pakistan. During her training in the USA with 52 other soldiers, Saiqa Gulzar became a shining star in the country after bagging the gold medal. And it wasn’t easy for Saiqa to win the gold medal! For her efforts and strength, Saiqa Gulzar has been hailed as a hero with ample praises showered on her. Women like Salma Marwat Khan and Major Saiqa Gulzar who are working in renowned institutions of Pakistan are setting a great example for all the people out there that are empowering women and proving themselves to be beneficial for men, society, community, and the overall economy! More power to you, girls! !